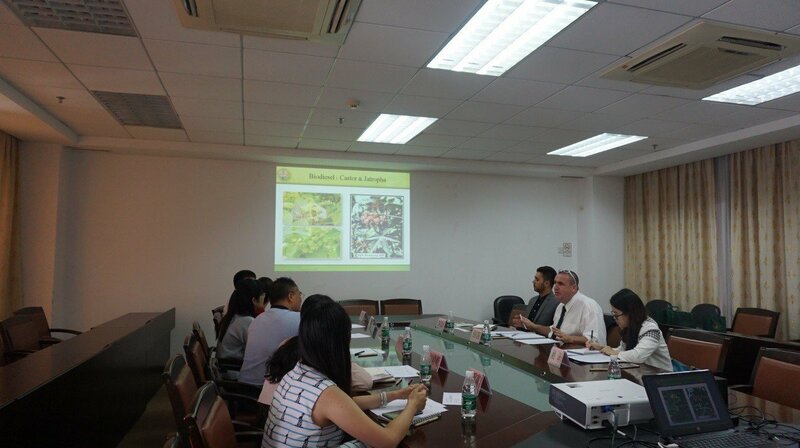 With the vigorously promotion of Israel Commercial Union, Sheman Topper, principal of Israeli Agricultural Research Organization(ARO) Volcani Center together with I.C.U’s staff, has visited South China Agricultural University in November 21st, discussing agricultural cooperation. During the conference, Mr. Sheman elaborated on the history, projects, scenticfic and technological achievements of Volcani R&D Center. 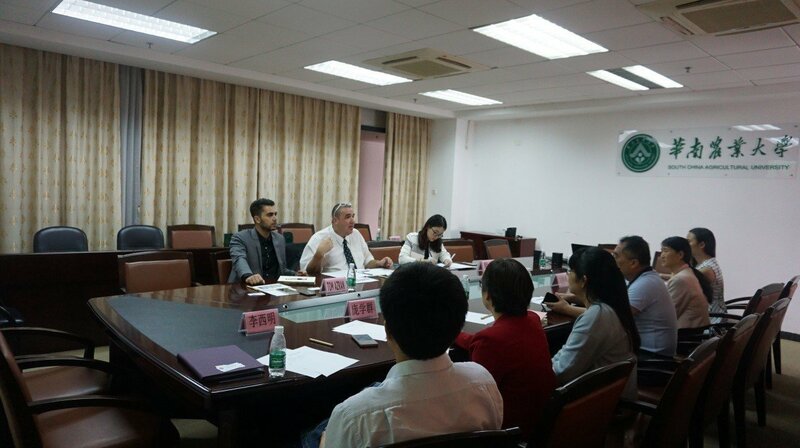 The research direction includes plant science, plant protection, food science and storage, soil and environmental science, animal science, agricultural engineering, etc. Mr. Sheman also pointed that the R&D Center has always received the excellent students from Israel even in the world at large, providing them with premium scientific and study enviorment and climate. 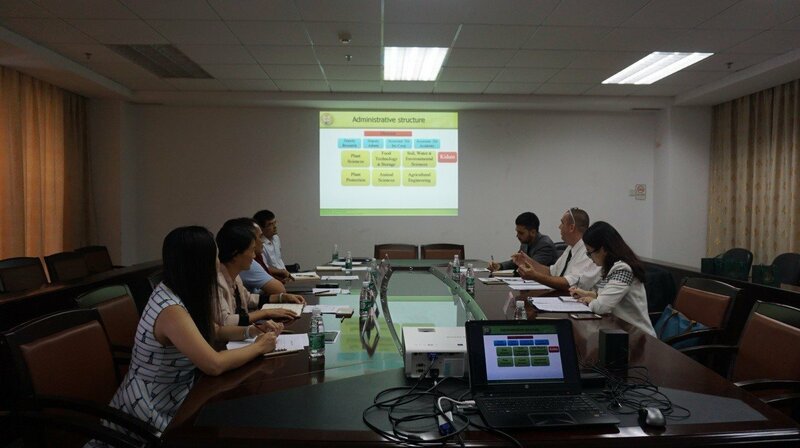 Liu Houcheng, the professor of the College of Horticulture, and Pang Xuequn, the professor of College of Life Science has shown great interests in these projects. Both sides have discussed the details and exchanged ideas concerning the future cooperation. 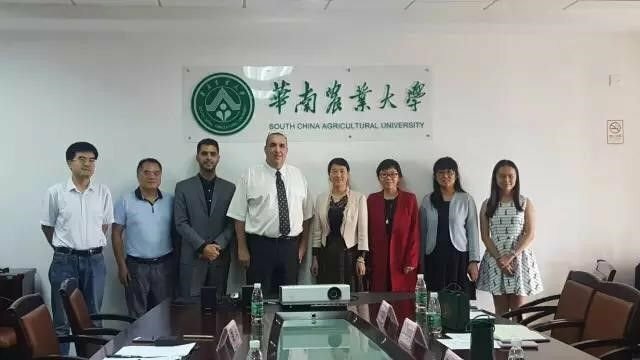 Mr. Sheman expressed his sincere welcome of students in SCAU to study in Volcani R&D Center, and expectations of further cooperation. Liu Zhenrong, vice director of International Office also attended the conference. After this conference, all of the participants have visited experimental facilities, such as greenhouses, plant fresh cold storage, etc. 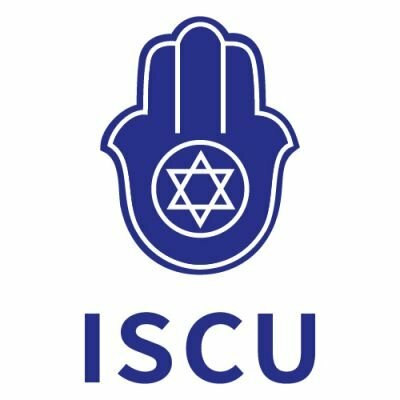 Israel Commercial Union plays a key role in this exchange activity, indicating our function as the bridge connected Israel and China. 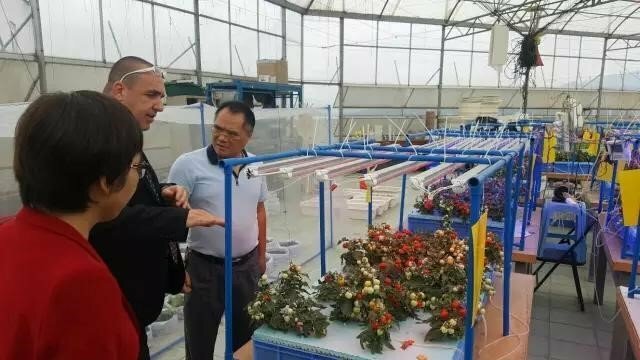 Israel Commercial Union also laid a exchange platform for Israeli Agricultural Department and Chinese Agricultural University, advancing the Sino-Israel cultural exchange in an all-round way.